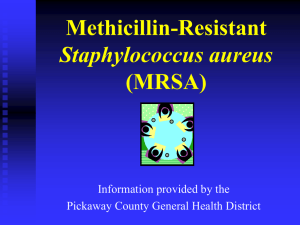 Methicillin-resistant Staphylococcus aureus (MRSA) (/ɛmɑrɛseɪ/ or /ˈmɜrsə/) is a bacterium responsible for several difficult-to-treat infections in humans. 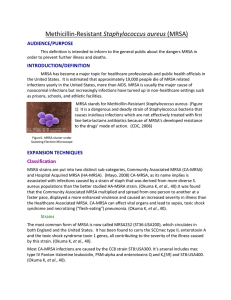 It is also called oxacillin-resistant Staphylococcus aureus (ORSA). 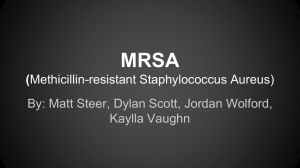 MRSA is any strain of Staphylococcus aureus that has developed, through the process of natural selection, resistance to beta-lactam antibiotics, which include the penicillins (methicillin, dicloxacillin, nafcillin, oxacillin, etc.) 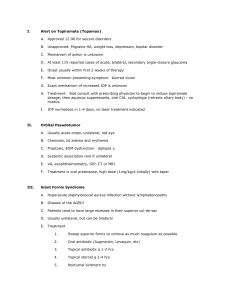 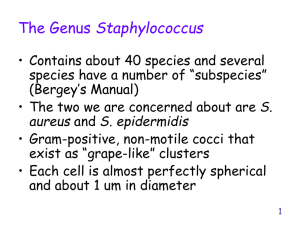 and the cephalosporins. 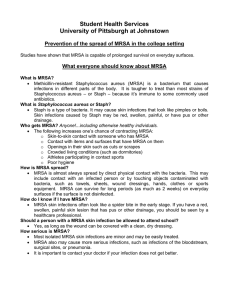 Strains unable to resist these antibiotics are classified as methicillin-sensitive Staphylococcus aureus, or MSSA. 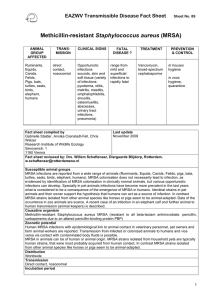 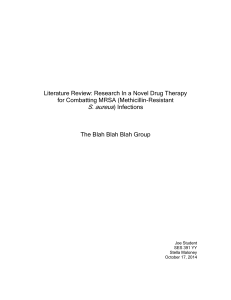 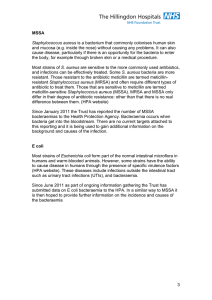 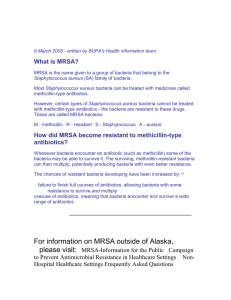 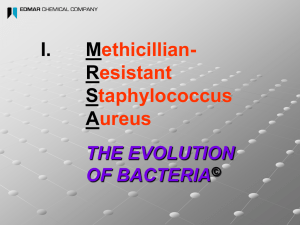 The evolution of such resistance does not cause the organism to be more intrinsically virulent than strains of S. aureus that have no antibiotic resistance, but resistance does make MRSA infection more difficult to treat with standard types of antibiotics and thus more dangerous.MRSA is especially troublesome in hospitals, prisons, and nursing homes, where patients with open wounds, invasive devices, and weakened immune systems are at greater risk of nosocomial infection than the general public. 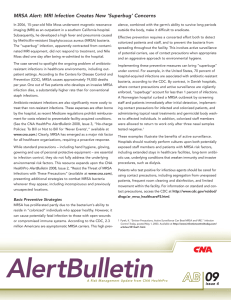 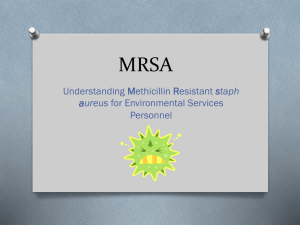 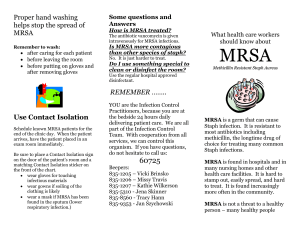 MRSA began as a hospital-acquired infection, but has developed limited endemic status and is now sometimes community-acquired. 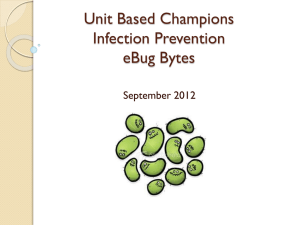 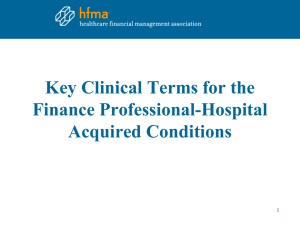 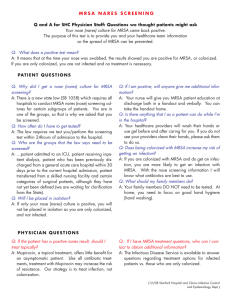 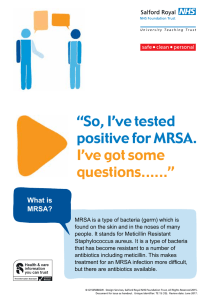 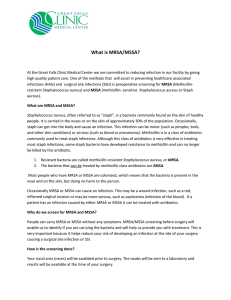 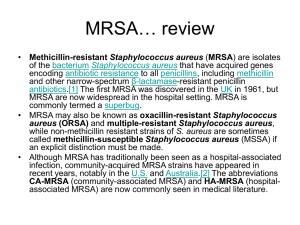 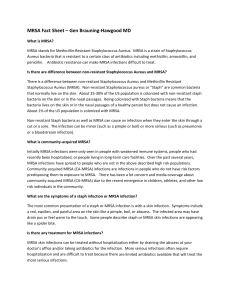 The terms HA-MRSA (healthcare-associated MRSA) and CA-MRSA (community-associated MRSA) reflect this distinction.